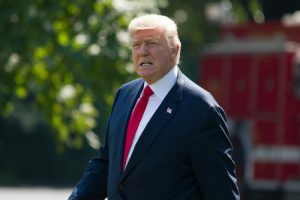 President Trump may be facing impeachment soon. According to The New York Review of Books, Special Counsel Robert Mueller is now in possession of highly sensitive information that proves that the president obstructed justice. The new evidence corroborates a claim made by former FBI Director James Comey: that the president attempted to shut down an FBI criminal investigation into Michael Flynn. “I hope you can see your way clear to letting this go, to letting Flynn go,” Comey recalled the president telling him in a private Oval Office meeting that took place on February 14, 2017. Civics Lesson: Who is Michael Flynn? 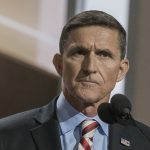 Michael Flynn is a retired U.S. Army Lieutenant General who briefly served as National Security Adviser to President Trump. Shortly after Trump was elected, Flynn had several phone conversations with Sergey Kislyak, who at the time was the Russian ambassador to the U.S. Flynn asked Kislyak not to retaliate against the U.S. for sanctions that were imposed against Russia by the former Obama administration. In January 2017, The Washington Post published a piece that claimed U.S. intelligence agencies had intercepted a call between Flynn and Kislyak in which the two discussed sanctions. Flynn denied these allegations and lied to the FBI and Vice President Mike Pence about it. Faced with the threat of being fired, Flynn resigned on February 13, 2017. Flynn is now facing federal criminal charges for deceiving the FBI. He has pled guilty. However, he entered into a plea agreement and has agreed to cooperate with investigators. Trump’s attorneys have argued that the president could not have obstructed justice since he did not know that Flynn was under investigation at the time. However, they later shifted their narrative by claiming that the president thought the investigation was over, and that Flynn had been cleared. This information is critical to the ongoing Russia investigation, as prosecutors would have to demonstrate the president’s intent and motivation behind firing James Comey if they were to charge him with obstruction of justice. But with a new mountain of evidence coming from within the president’s own inner circle, it’s looking more and more like a shoo-in.